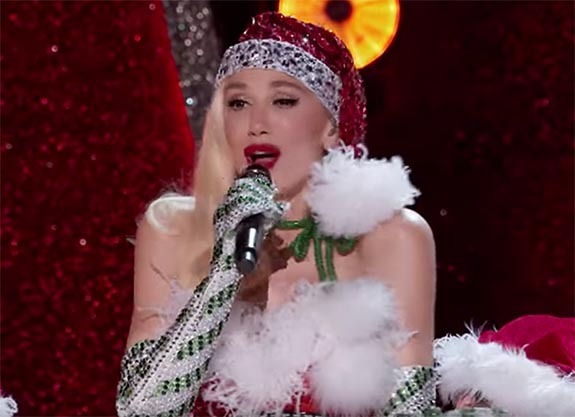 A song that echoes the sentiments of 1949’s “Diamonds Are a Girl’s Best Friend,” “Santa Baby” features a girl appealing directly to Santa Claus for some of the finer things in life — a sable coat, a blue convertible, a yacht and, finally, “a ring.” She’s claims to have been an “angel all year,” so she doesn’t think she’s asking for a lot. “Santa Baby” was released as the first promotional single from Stefani’s 2017 holiday album, You Make It Feel Like Christmas. The album rose to #1 on Billboard‘s Top Holiday Albums chart and the single peaked at #7 on the Billboard Holiday Digital Songs chart. Written by Joan Javits and Philip Springer, “Santa Baby” is reportedly one of the few Christmas hits penned by a woman.